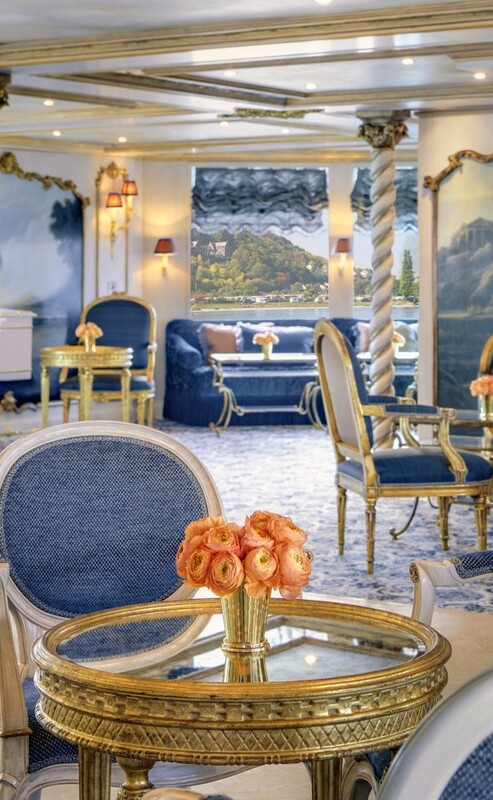 For a river cruise company that defies convention, Uniworld’s newest vessel is a true aristocrat. Renowned for their fleet of boutique boats that boast opulent exuberance, the company is in a league of its own. 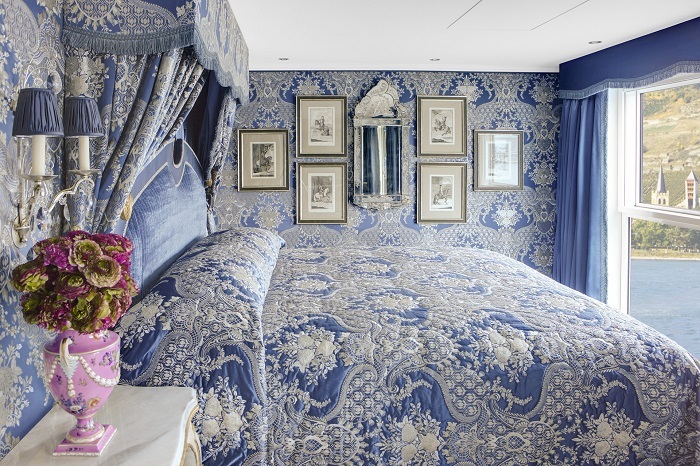 The signature décor of each vessel is daring and colourful, and when S.S. Maria Theresa was introduced in March the assembled industry observers were left searching for superlatives. Uniworld’s European fleet consists of 12 fully-owned and operated ships, all of which overflow with design pretension. Indeed the last three new-builds have been so mould-breaking that they have been given the designation S.S. – which stands for ‘super ship’. No one who witnessed the interiors of the 150-passenger S.S. Maria Theresa, resplendent with antique mirrors, gold-leaf detailing and custom furniture from around the world, was left in any doubt this was indeed a paragon. Uniworld’s vessels are individuals; interiors are the antithesis of minimalism, each is unique, and every deck showcases an eclectic mix of refined taste that spans the lexicon of decadent design. The collaboration between Uniworld and the Red Carnation Hotel Collection design team has been a masterstroke. Photographs Toni took when she visited the historic castles that stand sentinel along the banks of the Rhine provided inspiration for the ship’s interiors. Built at the Dutch shipyard of Gierlien van Tiem – which also produced the S.S. Antoinette in 2011 and the S.S. Catherine in 2014 – it was appropriate that the naming ceremony for S.S. Maria Theresa was performed by Princess Anita Von Hohenberg, great-granddaughter of Archduke Franz Ferdinand; and direct descendant of Maria Theresa – mother of Marie Antoinette. Making my way along Hofburg Deck (the uppermost of the three accommodation decks) I stopped at one of the ten305 sq ft suites. 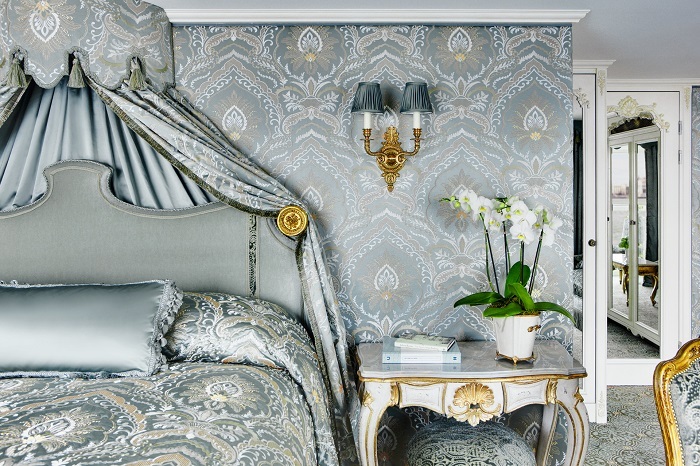 Each has its own unique colour scheme with silk wall fabrics as well as antique mirrors. There’s a balcony with a window that drops at the flick of a switch; period cabinets conceal mini-bars, and of course there are lavishly-appointed bathrooms with shower and bath. There are two butlers attending occupants of suites. Every detail has been considered to enhance the guest experience, whether it is in the 410 sq ft Royal Suite or the staterooms that range from 162 to 194 sq ft. Descending to Bavarian Deck, I saw the petite Lipizzan Cinema and Viennese Café – a recreation of the Sacher Hotel in Vienna. The sumptuous Baroque Restaurant on Schönbrunn Deck serves some of the finest food on Europe’s rivers. 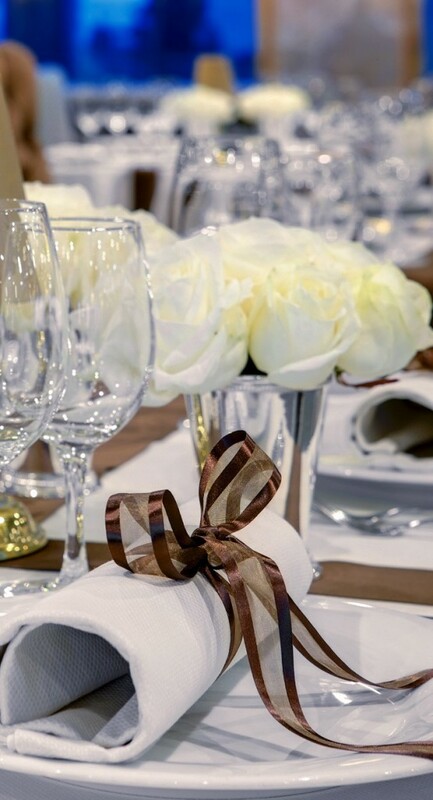 Breakfast and lunch are selected from the buffet while dinner reflects culinary virtuosity at every turn. The focal hub of the vessel is the sumptuous Habsburg Salon with a Watteau-style ceiling and hand-painted murals depicting 18th century Austrian rural life. The Baroque ambiance is enhanced with period furniture hand-made by artisans in Lyon and Venice. S.S. Maria Theresa will sail on a variety of Uniworld’s routes including the ‘European Jewels’ itinerary from Budapest to Amsterdam through the heart of Maria Theresa’s vast empire.